Fried round steak is a great delight. Simple and easy ready in about 13 to 15 minutes, and so flavorful. You cannot even believe it's a cheap fried beef. It taste so darn good. Heat oil in skillet over medium heat. Just before frying add butter. Combine flour, salt, pepper garlic powder and cayenne pepper. Season both sides of steak with salt, pepper and worcestershire sauce. Dredge each piece of steak in flour. 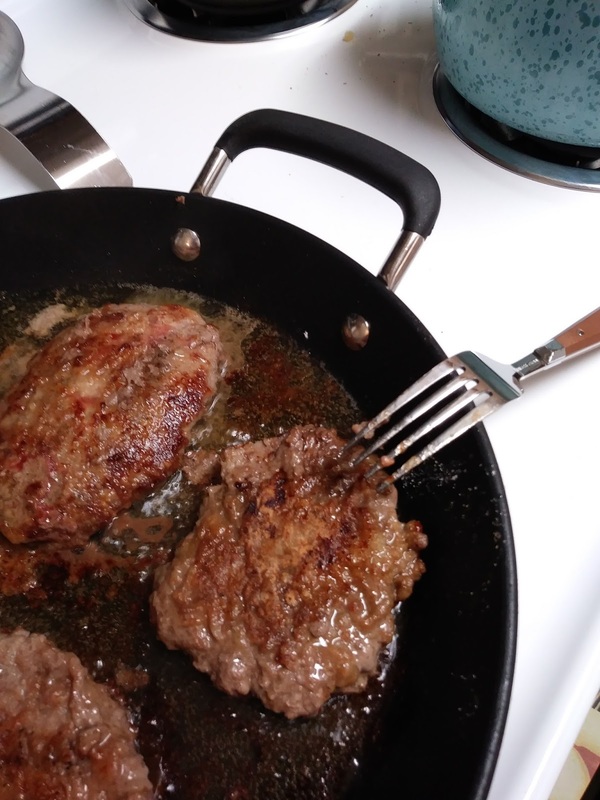 Once butter has melted in skillet fry steak until gold brown. Flip and cook about 1 to 2 minutes. Remove to paper towel lined plate. Serve and enjoy. Yummmy recipe...I could eat two or three of these!! I'd be happy to serve you one of those fried round steak. Thanks! Looks so hearty and delicious, Christine! My mouth is watering just looking at these pics! yum. Love these with eggs on Sunday morning! We love round/cube steaks... Such a great dinner option!